There are 77 Assisted Living Facilities in the Lilburn area, with 3 in Lilburn and 74 nearby. The average cost of assisted living in Lilburn is $2,705 per month. This is lower than the national median of $3,346. Cheaper nearby regions include Snellville with an average starting cost of $1,962. To help you with your search, browse the 329 reviews below for assisted living facilities in Lilburn. On average, consumers rate assisted living in Lilburn 3.7 out of 5 stars. Better rated regions include Tucker with an average rating of 4.0 out of 5 stars. Caring.com has helped thousands of families find high-quality senior care. To speak with one of our Family Advisors about assisted living options and costs in Lilburn, call (855) 863-8283. Lilburn, Ga., population approximately 12,000, was named One of the Prettiest Small Towns in Georgia and is on the list of Top 10 Places to Retire in Georgia. For seniors who want to live in a community of peers and receive some help with activities of daily living, there are three assisted living facilities in Lilburn with another 54 in surrounding areas like Tucker, Norcross and Stone Mountain. There are two types of assisted living in the state: assisted living communities (ALCs) and personal care homes (PCHs). All are licensed by the Georgia Department of Community Health. The cost of living in Lilburn is only 0.6 percent higher than the national average, but it exceeds the state average by 8 percent. For seniors with a limited budget, other locations in the state may be more affordable. The National Air Toxics Assessment gives Lilburn an air quality rating of 43 which is 15 points below the national average. For people with respiratory or allergy issues, this could be a significant concern. The climate in Lilburn is comfortable but humid. Summer highs rarely climb out of the 80s, and winter lows seldom go below 32 degrees. The city does average 52 inches of rain per year though, which is 13 more than the national mean. Sperling's crime index rates cities on a scale of 1 to 100, with 100 being the worst. Lilburn has a violent crime score of 33.6 which is just slightly higher than the U.S. average of 31.1. Its property crime score is 66.2 which exceeds the national mean by 28 points and the state average by more than 16. Lilburn has few facilities from which to choose in the event of a medical emergency or illness, with the nearest major hospital located in Duluth. Lilburn has little to offer in terms of traditional arts and cultural events. The city does, however, provide some unique activities. The city park plays host to themed music nights, and Food Truck Tuesday is a weekly event. Assisted Living costs in Lilburn start around $2,705 per month on average, while the nationwide average cost of assisted living is $4,000 per month, according to the latest figures from Genworth’s Cost of Care Survey. It’s important to note that assisted living rates in Lilburn and the surrounding suburbs can vary widely based on factors such as location, the level of care needed, apartment size and the types of amenities offered at each community. 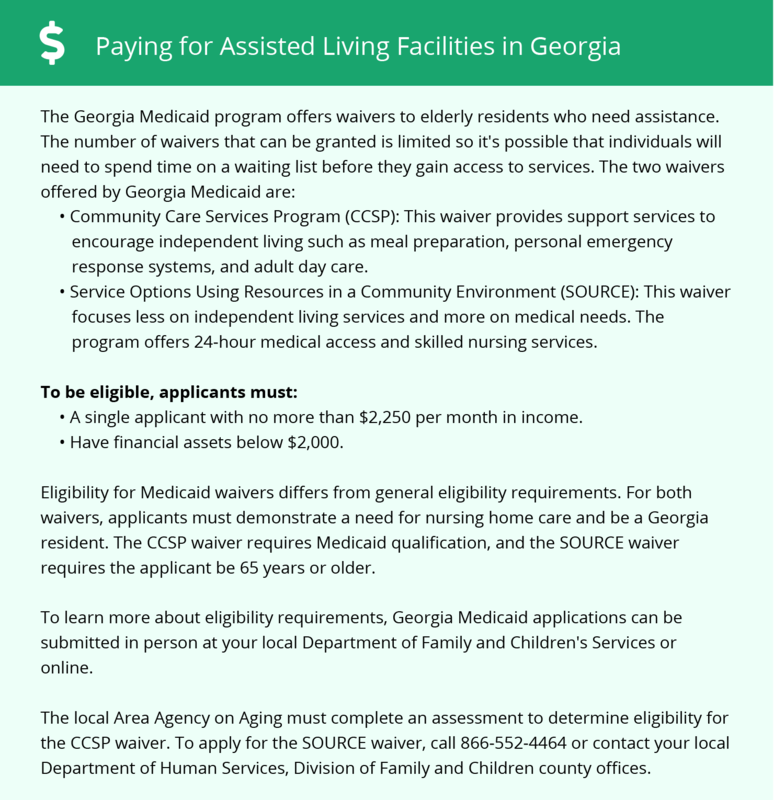 To help pay for services at assisted living facilities, the State of Georgia offers two programs: the Community Care Service Program and Service Options Using Resources in a Community Environment. Both of these are classified as Medicaid waiver programs and are subject to availability. To see a list of free assisted living resources in Lilburn, please visit our Assisted Living in Georgia page. Lilburn-area assisted living communities must adhere to the comprehensive set of state laws and regulations that all assisted living communities in Georgia are required to follow. Visit our Assisted Living in Georgia page for more information about these laws.